Whether you're looking for Laser Manufacturers, Industry Associations & Organizations, Chiller Manufacturers, or Fume Extraction System Manufacturers, we've got everything you're looking for...and more. SPI Lasers, a wholly owned subsidiary of the TRUMPF Group, is a leading designer and manufacturer of optical fiber-based lasers for use in materials processing applications in a wide range of industries. Manufacturer of RF excited CO2 and CO lasers, CW or pulsed. Products are known to be reliable, stable, tunable, portable and affordable. Coherent, Inc. provides laser-based solutions, designs and manufactures CO2, tunable dye, ion, CW, YAG, YLF, ultrafast, diode and diode-pumped. GSI Group delivers enabling technology solutions for precision motion products, lasers, and laser systems. Servicing medical, semiconductor, electronics, and industrial markets. 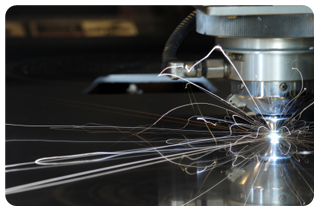 Lumentum manufactures a large variety of high power fiber lasers, diode lasers and ultrafast lasers for applications ranging from cutting or welding of heavy gage steel, to machining of micron level holes and features in miniature components. Synrad manufacturers sealed CO2 lasers. Synrad's objective has always been to develop high technology products that are easy to integrate into a wide range of applications. Rofin-Sinar, Inc. has core competencies in the design and development of laser products and systems for the manufacturing industry. Manufactures laser cutting, welding and marking systems for industrial material processing, including Nd:YAG, CO2 and diode technologies. Manufacturer of automated pre-weld inspection, seam tracking and post weld inspection systems. Servo Robot's welding and measurement solutions are in operation in pipe, tube and steel mills, as well as chemical, tank and vessel plants. Laservall manufactures diode lasers, diode pumped lasers, and lamp pumped lasers (DPSS and LPSS) - Laser Sources for all precision manufacturing applications. Industrial liquid process chillers for industry cooling applications. We'll continue to add new resources, so be sure to check back again. If you have a web site related to lasers and would like to be considered as an addition to our list, please contact Haas LTI.